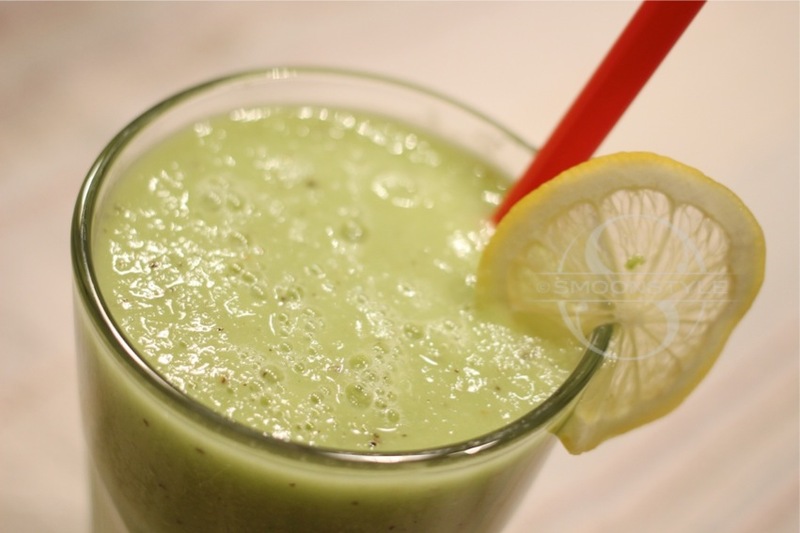 Do you take the skin off the lemon before blending it into the smoothie? I have to try this one! I usually stay away from vegetable smoothies (because I prefer to chew my veggies), but I might like this one because of the kiwi. But lately I've been obsessed with mango smoothies of all kinds. I usually mix it with kiwis or oranges or even berries (especially raspberries). It's great for breakfast. Hmmm I don't like very much kiwi but I have to confess it sounds delicious! I never taste smoothie, do you believe in that? Not anymore! HAHAHA I will try to do this very soon! This looks delicious. This makes your skin shine bright, doesn't it? I definitely have to try this! Have you ever tried other green smoothies? One of my favorite recipes contains kale, oranges, banana, water and a dash of cinnamon. You can also add dates for more sweetness. I know, it sounds weird making a smoothie out of raw kale...BUT the taste is really nice, it is quite a bit tangy and this spiciness is especially in combination with oranges and cinnamon really wonderful. The flavors enhance each other. When you just do not like kale, you can use spinach instead, but let me tell you kale is far better. And if you like banana shake, try oat drink (available at dm for example) instead of cow's milk...this is so so fantastic. Wie geht es dir und deiner Familie? Green smoothies are delicious and your combination looks yummy. I always add a dash of cinnamon for extra flavour and for its health benefits.